Enjoy twice the fairies, twice the adventure, and twice the magic, just in time for the holidays. 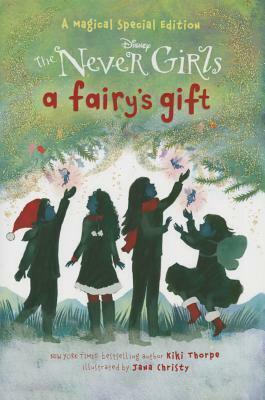 In a beautiful jacketed hardcover edition packed with illustrations, this special new Never Girls story by New York Times bestselling author Kiki Thorpe is the perfect gift for readers ages 6 to 9. KIKI THORPE spent much of her childhood reading, daydreaming, and searching for fairies in the forests of Idaho—pastimes that were good training for writing children's books. She is the author of many books for young readers, including the New York Times bestselling series, The Never Girls. She lives with her husband, Greg, and their two children in San Francisco.